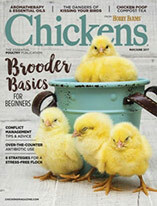 Buying chicks from a hatchery is easy, but it’s not the only option. Plus, easy isn’t the only attribute to consider. There’s sustainability. There’s economy. There’s flexibility, enjoyment and a sense of accomplishment. All of these take center stage when you incubate eggs from your own flock or by purchasing hatching eggs. Choosing an incubator (or building your own) is an article in its own right, so let’s just assume you’ve got one. The first step is to disinfect it with 10 percent bleach solution, then wash with warm soapy water and rinse thoroughly. Next, choose a location that’s constant in temperature and draft-free. Garages and barns are not ideal to incubate eggs, especially in chilly weather, because the eggs must remain between 99 and 102 degrees F, with a target range of 100 to 101 degrees. Wrapping the incubator in a thick blanket and placing it inside a large box insulates it for better heat economy and stability. Set up your incubator two or three days in advance to make sure it’s operating correctly and that you understand how to maintain the target temperature and humidity. If those eggs were under a mother hen, they’d be receiving the perfect amount of moisture from contact with her skin. Substitute a pan of water—some incubators include built-in water reservoirs—in order to hold humidity at 50 to 55 percent, and increase to 65 percent humidity for the last three days. Test your thermometer for accuracy. While readying your incubator, stockpile eggs. 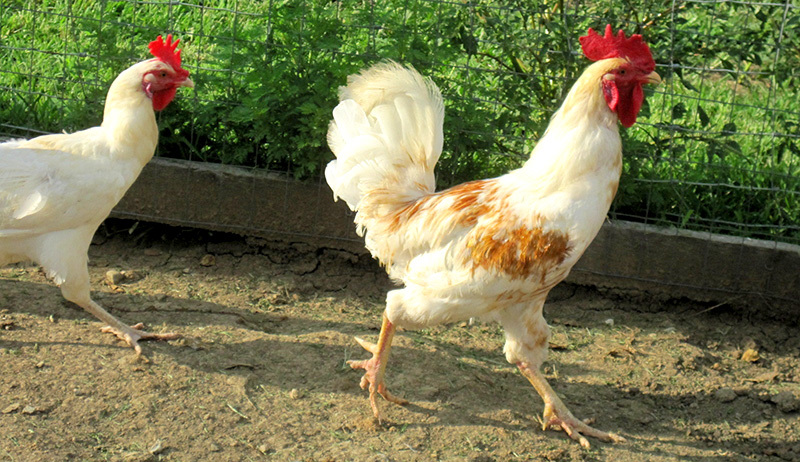 They must be fertilized, of course, so if your flock lacks a rooster, obtain eggs from someone who has one. 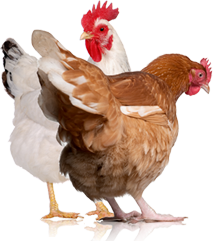 Alternatively, fertile eggs can be purchased from hatcheries and breeders, though this isn’t as economical as gathering from your own coop. If storing the eggs for more than two to three days, change their positions daily to reduce the tendency for the yolks to stick to the shells. Avoid oval/football-shaped eggs, possible double-yolked eggs and any eggs with shell abnormalities, as these might interfere with successful incubation. Washing eggs before incubation is not recommended, as it can introduce microbes through pores in the shell. You can “dry clean” a minimally soiled egg with fine sandpaper, if needed. Incredibly, when you incubate it takes only three weeks for eggs to turn into chicks. Once you’ve set the incubator’s temperature and humidity at the ideal range and you have your quota of eggs, use a graphite pencil to mark each one with an X on one side and an O on the other. These are your references, as eggs must be turned a half turn three times a day to keep the yolk from adhering to the side and causing embryo death. Some incubators come with a rotating base that turns the eggs automatically, but mark them anyway so that when you check temperature and humidity, you can see at a glance whether they’re being turned correctly. Don’t open the lid frequently: It takes a while for the temperature to regulate again, and embryo growth slows in cooler temperatures. If all goes well, candling will reveal growing embryos. On day 18, cease turning the eggs and increase the humidity to 65 percent to avoid having chicks stick to their shells when hatching. By this time, you might hear the babies peeping inside their shells. For incubators with wire bottoms, add a layer of paper towels on day 18 so that tiny chick feet won’t be damaged. At this point, prepare the brooder so it’s warm and ready to receive the newly hatched babies. 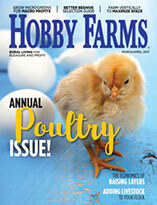 Gregory Archer and Lee Cartwright, extension poultry specialists with Texas A&M AgriLife Extension Service, provide the following pieces of advice in “Tips for a Successful Hatch” for storing eggs before you incubate them. Store collected eggs at 60 to 69 degrees F and 75 to 80 percent relative humidity as quickly as possible after they are laid. Don’t wash eggs or incubate extremely dirty eggs. Store eggs with the large end up, and set eggs three to 10 days after they have been laid. The University of Illinois Extension specialists say that poor results in hatching are commonly caused by the improper control of temperature or humidity. An incubator that is run warm, constantly averaging a bit above 100.5 degrees F, will produce an early hatch. An incubator that is run cold, a bit below 100.5 degrees F, will produce a late hatch. Check the incubator thermometer to make sure it’s accurate. Place the bulb next to the bulb of a clinical (the oral kind used to check body temperature) or a laboratory thermometer. Hold under lukewarm tap water and compare the readings. Do not turn the eggs the last three days of incubation. The embryos are moving into hatching position and do not need to be turned. Place a cloth—crinoline is best—on the screen floor of the incubator. This protects the navel, the place where the abdomen closes after surrounding the remains of the yolk, from injury. It also makes cleaning the incubator easier. If all goes well, you’ll soon have an incubator full of damp, wobbly chicks. Enjoy the babies at a distance while they dry off and fluff up, then transfer them to your brooder, clean the incubator and store it until next time.